Retreat to a paradise full of transformative yoga sessions, decadent spa treatments and an experience that will spark your spirit and leave you feeling refreshed and renewed. This sisterhood gathering will be like no other retreat experience. The kind of healing that comes from endemic laughter and being surrounded by beautiful, strong, vibrant women. You’ll come home with high energy, lightness, ready to take on the world! We celebrate each meal in a gorgeous dining room overlooking an expansive coffee plantation along with views of Costa Rica’s central valley. Birds and rainbows are frequently spotted. The restaurant serves vegetarian and fresh seafood fare. Special care is taken in the preparation and cleaning of all fruits and vegetables to ensure healthful eating. Let us know if you have particular dietary requirements, and we’ll do our best to accommodate you. Karen infuses her joyful, high-energy classes with her belief that we can best serve others and heal ourselves through this dynamic and transforming yoga practice. Karen is a highly experienced teacher and and has led workshops and teacher trainings for over 15 years around the world. Rates include: Yoga and meditation sessions, 5 nights accommodations, 3 buffet-style meals per day, taxes, transportation to/from the airport, and tips. Rates do not include airfare. Prices are per-person. *Tentalows are comfortable, with room to stand, and beds, linens and electricity. In the tentalow area the bathrooms are between 10 and 40 meters away depending on which tent you are in. In the tentalow area there are two sets of bathrooms. Each set has two showers and two toilets. 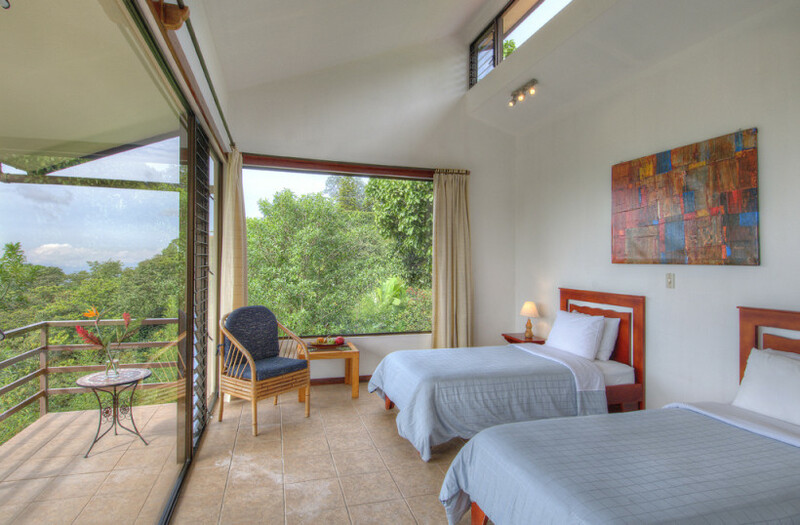 The shared bathrooms are set in lush gardens, are very attractive and are conveniently nearby. Air: Arrive/Depart San Jose (SJO) Airport. 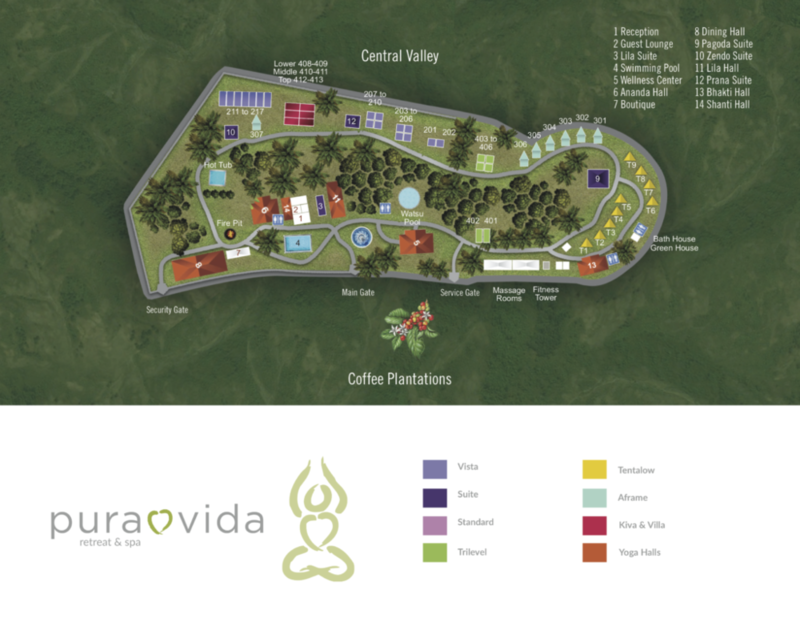 Pura Vida Resort will arrange for your transportation to and from the San Jose Airport by a reputable and trusted driver. Schedule your arrival into SJO on Jan. 11. You can schedule your departure for any time on Jan. 16. The $300 deposit (applied towards the retreat) is non-refundable and non-transferable. The remaining balance is due 60 days prior to the beginning of the retreat. No refunds for canceling within 30 days of the retreat. Students will receive a confirmation email confirming your payment as will as logistical information. A $300 DEPOSIT (APPLIED TOWARDS RETREAT) SECURES YOUR SPOT TODAY!